“Many pensioners have complained of fake IDs...,” the AG sought to submit. “The argument of exclusion becomes even more prominent in these cases...say, one’s son is settled in America and he also moves there post-retirement, how will he go through the Aadhaar-based authentication to retrieve his pension,” asked Justice Sikri. “Say, someone from the Army is staying abroad. The system must be robust to provide for these instances,” added Justice DY Chandrachud. The AG on Wednesday drew the attention of the bench to the UIDAI circular dated November 15, 2017 on the ‘Applicability of Aadhaar as an Identity Document for NRIs/ PIOs and OCIs’. “The government shall not deny a rightful entitlement,” he remarked. In response, the AG relied on sections 2(b) and 3 of the Aadhaar Act to indicate that the project is applicable only to ‘residents’, adding that the government shall provide for all contingencies. “Pension accounts are all separate; there is no joint pension account...like, after my father passed away, the family pension account was only in my mother’s name...no one but that individual can operate it...where is the question of bogus identity...,” inquired Justice Chandrachud. “What about an individual who is suffering from Alzheimer’s or dementia? At the age of 85-90 years, individuals do not have fingerprints...where would they go for authentication,” the judge continued his query. In response, the AG submitted that even individuals suffering from leprosy have been enrolled under the project. “How do we construe ‘Subsidies, Benefits and Services’? Like there may be LPG subsidy, but pension cannot be said to be a subsidy...,” asked Justice Chandrachud. In response, the AG submitted that pension is drawn out of the Consolidated Fund of India and hence, is covered under Section 7 as a ‘benefit’. “Every good scheme has flaws...we would rather the government admit upfront that there is a problem of financial exclusion, instead of saying that no one has come to the court to complain...the fact that the cabinet secretariat has recently dealt with the issue is indication enough...,” remarked Justice Chandrachud. 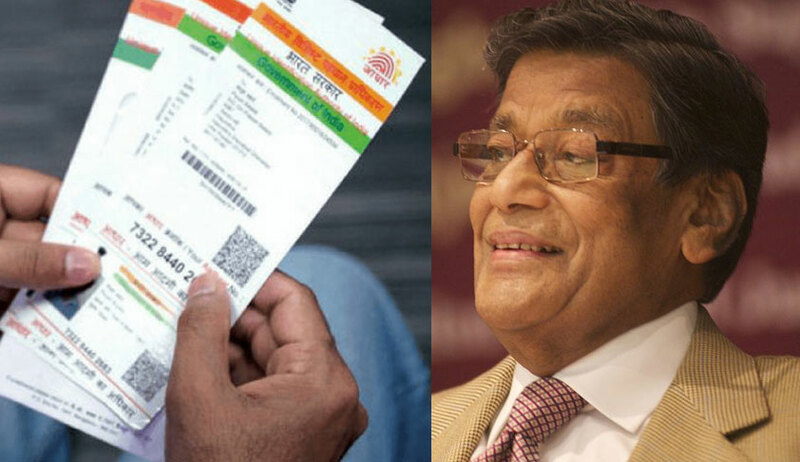 In respect of concerns such as lack of Aadhaar, failure of authentication, extraneous factors like absence of electricity or internet connectivity, the AG indicated notifications, including one of the Ministry of Food, stipulating that till Aadhaar is assigned, ‘Subsidies, Benefits and Services’ shall be provided on alternative ID proof; and that in the event of failure of biometric authentication, Aadhaar card in physical or electronic form shall suffice. “The Aadhaar Act shall also be amended from time to time,” assured the AG. “If the purpose is identification, why is there aggregation and centralisation of data under the Aadhaar scheme,” inquired Justice Sikri, in the light of the question of proportionality. “There is no question of any aggregation,” responded the AG. On mention thereof by senior counsel KV Vishwanathan, the bench on Wednesday allowed the petitioners the right to pose questions through the Chief Justice and not as “freewheeling cross-examination”. The hearing shall resume on Thursday.